From a little corner of the world to the all others! 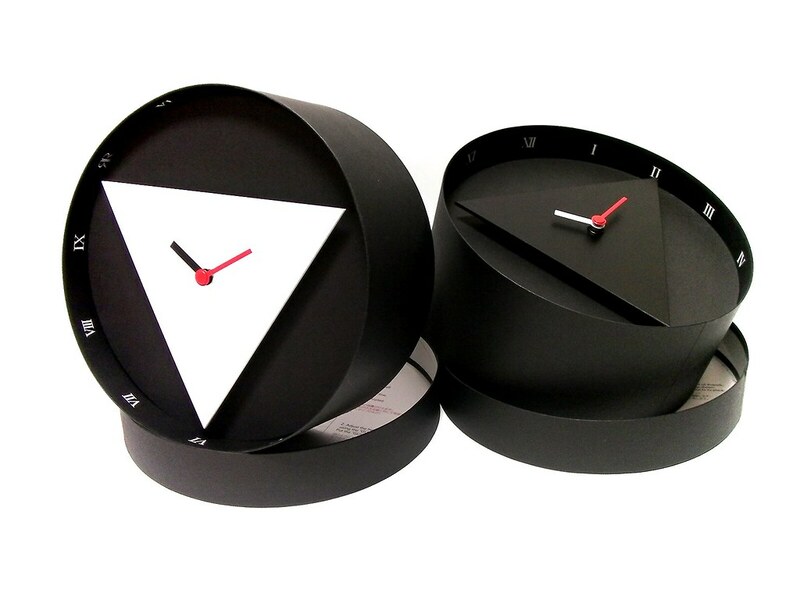 If you are dealing with a regular wall clock, what would you need? nails? screws? a screw driver? a hammer? or anchors? After you think you have successfully completed the installation, then you come to realize it is a bit off balance and perhaps giving a wall another history of holes? 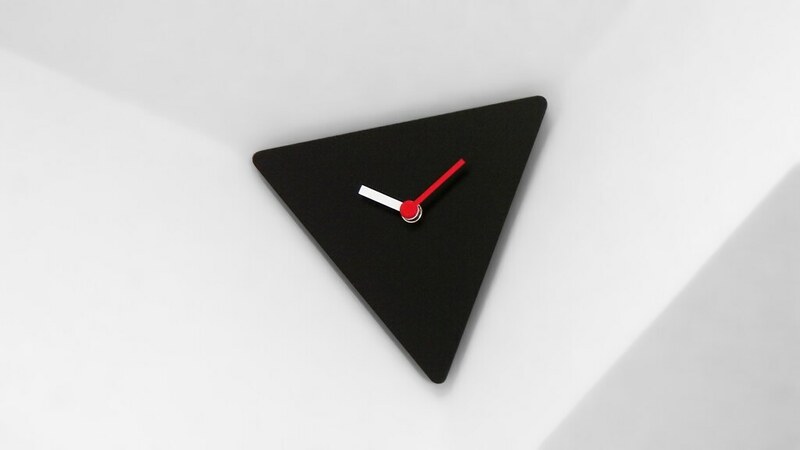 But again, you simply can not have that chance with this Ultimate Corner Clock. You only need a regular stapler to install it, and It only leaves tiny 8 pin holes. 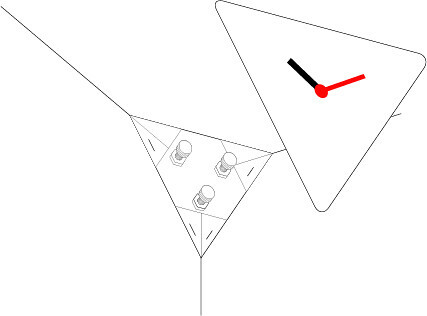 Time can be read from anywhere in a room because it has no blind spot. Amazingly easy to install: A regular stapler is all you need. 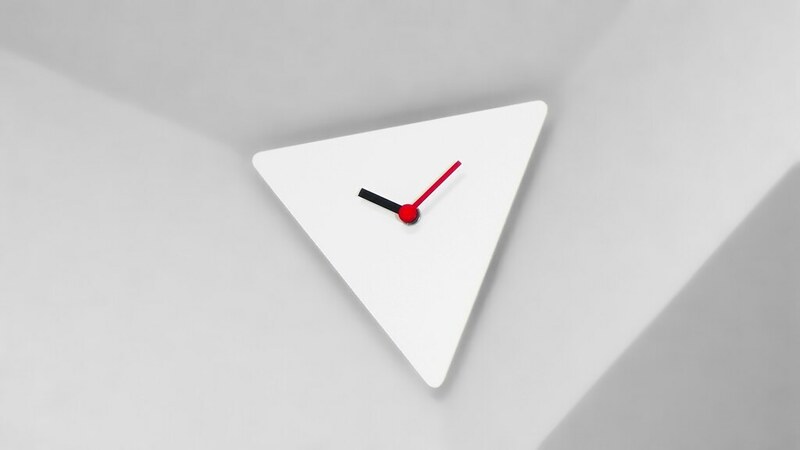 Irreplaceable simple minimal design will retain the same quality regardless of age. A side of this equilateral triangle is about 6.7in / 17cm. Please avoid touching the clock hands. They are just fragile. 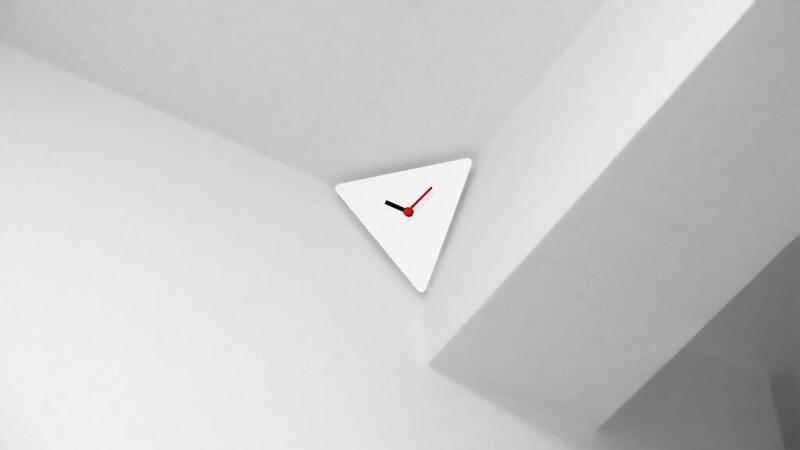 The original unique staple-corner-locking system enables you to install the Ultimate Corner Clock extremely easily. This system is ideally suitable for plaster walls, though any wall that could hold staples are assumed to be fine. For other walls, such as concrete walls, you may use nails, screws, adhesive tapes, or whatever you feel comfortable with. You will need a regular stapler whose jaws can fully open, so it can be used against the walls. Simply redo when mis-stapled. 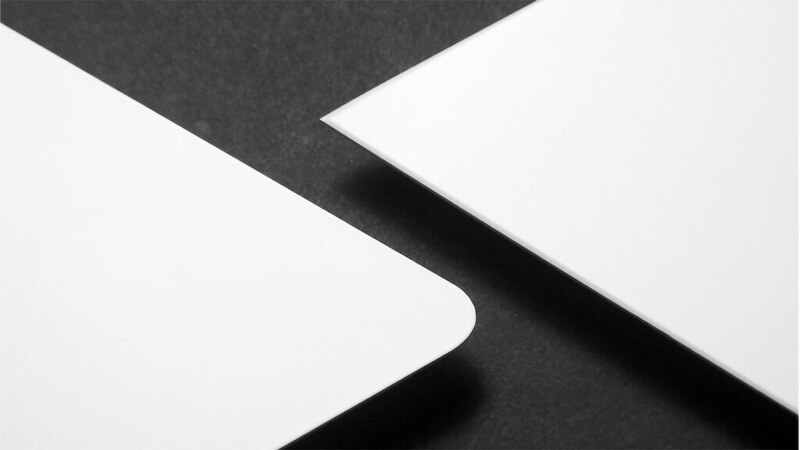 Recent models have slightly rounded corners as you can see in pictures above. What is staple-corner-locking system (SCLS) and how does it work? SCLS has been developed as a special corner bracket that is to make installation process of Ultimate Corner Clock (UCC) extremely easier. Imagine a piece of cardboard fixed on the wall by a staple. For the cardboard to fall off, obviously it needs to move toward you. But, what if it can not? In SCLS, it works as if the cardboard is fixed in a place. The UCC base is fixed by staples to one side of the wall while it is also secured by another staples fixed to the another side of the wall. Those staples lock in each other in place, so they can not move. How strong the UCC base withholds rather depends on the shearing stress of staples than the friction generated between the staples and the wall. That is why it can hold pretty tight. To remove the UCC base, staples can be lifted up along the base as you put your nail or something beneath to push up. 1. 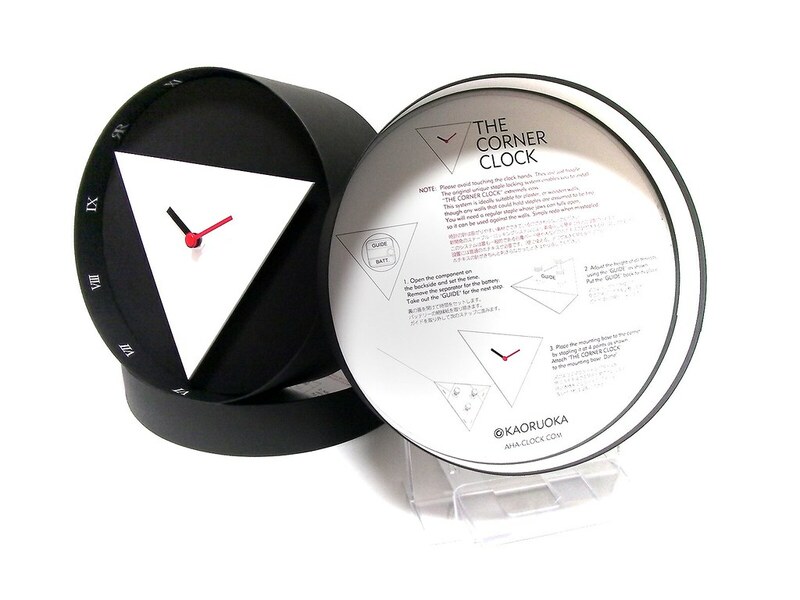 Open the component on the backside and set the time. 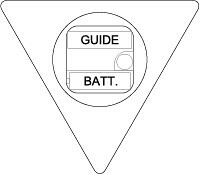 Remove the separator for the battery. Take out the "GUIDE" for the next step. 3. Place the mounting base to the corner by stapling at 4 points as shown. 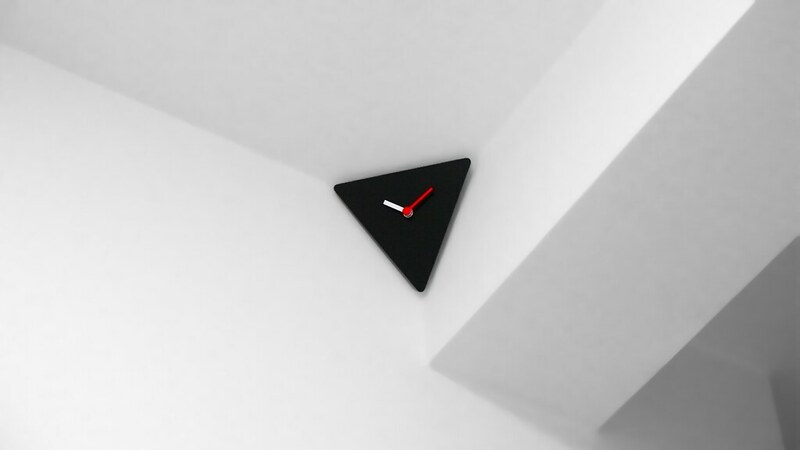 Attach the Ultimate Corner Clock to the mounting base. Done! *If you would like to minimize floating effect, you may skip 2. Installation process is introduced in the clip.